Cullman Alabama’s seniors, kids, and teen programs were growing, as well as the swim team and the public at large. The community desired a larger, year round aquatic center to meet their growing needs. 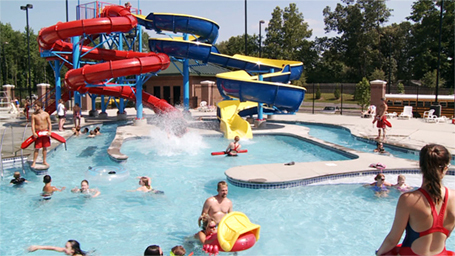 Cullman’s goal was to combine recreation, instruction, therapy, and competition in both indoor and outdoor aquatics at the Cullman Wellness & Aquatic Center expansion, thus transcending the quality of life and an economic impact. Counsilman-Hunsaker and Lose & Associates designed the vibrant new aquatic center that includes an indoor multi-purpose pool and spa, and two outdoor pools. Other features of the facility are an indoor walking track, double gymnasium, and expansion of Ingle Park Recreation Center for seniors. The outdoor 25-yard competition pool and outdoor leisure pool offer a myriad of seasonal activities for recreational and competitive swimmers. The indoor hybrid pool includes interactive play features, vortex, and six lap lanes for year-round exercise, training, and competition swimming/diving, while the indoor whirlpool spa offers indulgent health and well-being.